Formaldehyde, tobacco, and chronic hepatitis C infection. These are all World Health Organization Class I carcinogens, meaning they are known to be capable of causing cancer. Also on this list is indoor tanning, which causes 400,000 skin cancers per year in the United States, including 6,000 melanomas. Tanning is a particular problem among teens, and a study just came out linking it with other risky behaviors in high school kids. “We found an association with recreational drug use, with tobacco, with marijuana use, and with anabolic steroid use, and prescription drugs,” said Robert Dellavalle, lead author of the study and associate professor of dermatology at the University of Colorado School of Medicine. “In general, about all of those associations were twice as likely in those who were indoor tanning than those who were not,” he said. There are also personal characteristics that may make an individual more likely to participate in both substance use and tanning. “You may not have an aversion to risky behavior if you’re indoor tanning … another is that you may fall into a peer group that accepts risky behavior,” he said. Finally, a predilection for addictive behavior may be a risk factor. While the association with endorphin release is not well established, he explained, there is evidence that tanning has an addictive component. The screening questions for alcoholism can be adapted to indoor tanning, such as, “Do you find it hard to stop?” or “Do you not feel comfortable telling people how much you tan?” A percentage of tanners answer “yes” to these questions, lending credence to the idea that tanning may be addictive. As of May 2014, the FDA has required tanning devices to carry a visible black box warning stating that the product should not be used on individuals under age 18. Even so, indoor tanning is only banned for minors under 18 years of age in 12 states and the District of Columbia. Massachusetts is the most recent state to impose the ban. Gov. Charlie Baker signed the bill just this month, stating that it was a “critical step towards increasing awareness and protecting our most vulnerable” from an increased risk of skin cancer. College-aged young adults, on the other hand, can soak up as much artificial sun as they want, anywhere in the country, any time of year. Efforts to curb tanning in this population are aimed at trying to raise awareness and making it less accessible. Dellavalle is part of a major anti-tanning initiative, Skin Smart Campus, which is co-sponsored by the National Council for Skin Cancer Prevention and the Office of the Surgeon General. 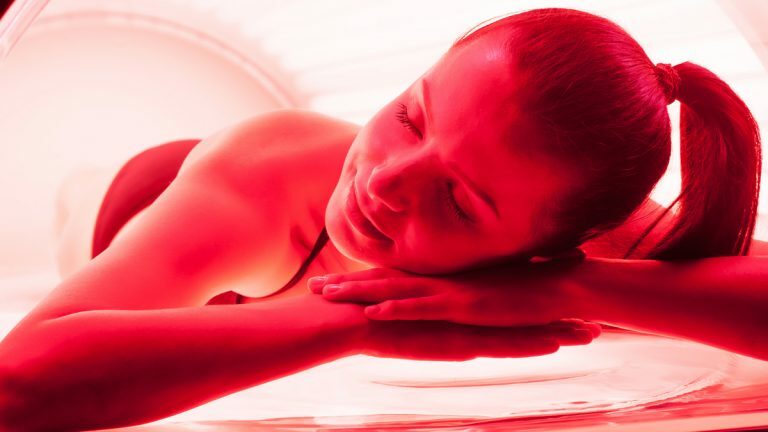 The coalition was galvanized in part by a 2015 study published in JAMA Dermatology, which found that nearly half of the nation’s top 125 colleges offer indoor tanning facilities on campus or in off-campus housing. Many colleges even have campus cash cards that students can use at indoor tanning facilities. Skin Smart Campus is addressing this issue by encouraging colleges to prohibit tanning devices on campus and in off-campus housing, to disallow use of cash cards for tanning, and to provide education on skin cancer prevention. The leaders of the coalition are using the tobacco-free campus initiative as a model of how to get results. “The way there are tobacco-free campuses, we’d like there to also be tan-free campuses, recognizing that both tobacco and tanning are carcinogens,” said Dellavalle.